Many individuals are already conscious about their health. Meadowlark Pharmacy is here to help in achieving your health goals through pharmacy services that are complete, affordable, and dependable. Here’s what our pharmacy can do for you and your family! When it comes to refilling your prescriptions, we always emphasize accuracy and speed so that your health will not be compromised. We make the transfer process as easy as possible for you so that you can already experience quality pharmacy care from us. If you have trouble with running out of medications often, our auto prescription refill program is your solution. 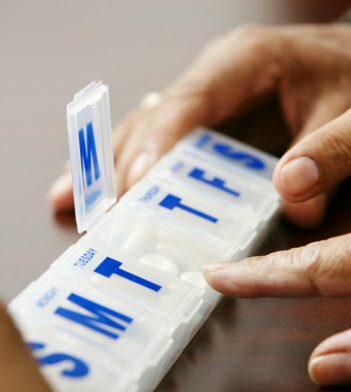 We give you endless convenience by ensuring that you get all of your medications during one single date every month. Call us at 402-792-0006 for more information. We are partnering with Nebraska Pharmacy Association to help you safely and properly dispose of leftover medication. Don’t flush leftover medications! Bring them to Meadowlark Pharmacy and we will dispose of them safely and responsibly at no charge to you. Stop by or call us today for details. Do you live in the state of Nebraska but can’t get in to see us for your meds? We will mail your prescriptions to you! It’s easy to get started. Call us for details. Every time you visit our drugstore is an opportunity for us to work with you in attaining your personal health goals. Our pharmacy staff is ready to assist you during your visit. If you have questions about our products or our services, you can always reach us online or call us at 402-792-0006.